I started my career in 2001 working for Boys and Girls Town of South Florida, providing home and school-based prevention/intervention services to children. Among other responsibilities , I was tasked to appropriately respond to children’s statements of self-harm (i.e., “I’m so angry, I want to hurt myself”). I vividly remember sitting in a conference room one afternoon waiting to be observed by a team of doctors, psychologists and behavioral health professionals. We were meeting to assess and sign off on my abilities to appropriately administer a children’s lethality assessment tool. As a young professional two months into my first professional job and one who was right out of undergraduate school, I was extremely nervous. After all, these people were going to “catch me” and tell me all the things I was doing wrong, right? When I began to role play my part of the scenario I began to shake, my voice cracked and my breathing became very shallow. Then, one of the doctors said something that changed my career. She said calmly, “Patrick, we can tell you are very nervous….please know that we are here to help you. We are so glad you care for these children because we care about them too.” Afterward, she smiled. Her comment completely changed the way I viewed outside evaluators and how they could function to provide support and assistance, not just compliance and assessment. I believe the same is true for Prime Time and how it makes efforts to come alongside of out-of-school time (OST) practitioners to help them grow and learn to ultimately benefit children and youth. Later in that same year in 2001, my organization was going through a big accreditation process with an organization named the Council on Accreditation (COA). For months we have been reviewing organizational policies, updating certain processes, assessing how we documented our work, attended valuable trainings, and revisited our model and philosophy for how we provide family-based services. We also focused on conducting client record reviews, tracking and trending youth incident/accident reports, surveying families and much more. Then, it was announced that COA was coming to see us and would be conducting staff interviews, reviewing documents and joining staff on observations in the field. Well, who do you think was one of the staff who was planned to be accompanied on a site visit with a family? You guessed it. It was me. During the visit, the COA assessor wasn’t just supportive but gave me great feedback and coaching as I thought about my approach to the work. It was not confrontational, but rather, it was strength-based and positive. Simply put, the entire COA accreditation process made me a better professional and equipped my mind with tools, resources, standards and best practices that allowed me to better support families by providing higher quality services. Similarly, Prime Time’s mission is to help children and youth succeed by strengthening and expanding quality in the out-of-school time field so that children and youth can reach their fullest potential in school and life. That is why the Palm Beach County Standards for Quality Afterschool were developed, and why we provide practitioners with opportunities for professional development, OST programs with quality improvement, children and youth with expanded learning opportunities and enhance the field with research. COA is still active today and has standards and best practices associated with the OST field. In 2014, Prime Time invited COA to conduct an overview of the accreditation process and its benefits to QIS participants. It was clear through the presentation that QIS programs are well positioned to be successful with the accreditation under COA’s child and youth development OST standards (CYD-OST). Originally developed by the National Afterschool Association (NAA), these standards (see the below links) have since gone through revision and have been updated to highlight important advances in youth development research (i.e., focus on social and emotional learning and equity). Additionally, there are supplemental OST standards specific to arts and education, homework help, health and wellness and more. 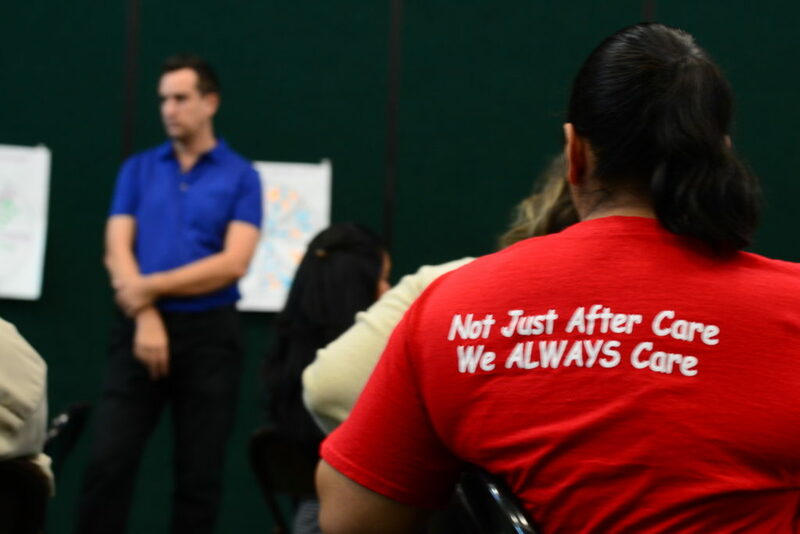 Since the presentation in 2014, a few QIS programs have gone through the accreditation process, including New Hope Charities Inc., City of Greenacres and Boys and Girls Club of Palm Beach County. I have been very fortunate to serve as a volunteer COA OST lead endorser over the past five years, looking at various OST programs across the country, and most recently in Stuttgart, Germany. With Prime Time’s support, I have been able to gain valuable experience, grow professionally and use these hands-on learning experiences to better support OST professionals in their quality improvement efforts. I am very appreciative to Prime Time for allowing me these opportunities to serve, share my knowledge and give back to others. In the next few weeks, I plan to share some of the innovative and best practices that I have seen over the past five years. I hope to inspire you to keep growing and learning, and celebrating your successes and strengths. As I have said many times, quality improvement is always a journey and never a destination, yet sometimes, it can take you to destinations you never imagined. Stay Tuned. The Children's Services Council of Palm Beach County provides significant funding for Prime Time's overall operations. The Palm Beach County Youth Services Department provides support for Prime Time's Middle School Out-of-School Time Initiative.